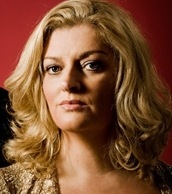 Cork-born Cara O’Sullivan is an artist with an impeccable operatic pedigree who has risen to prominence as one of Ireland’s leading sopranos. She is an instinctive performer with a remarkably full voice, exciting and dramatic, yet always performs with great sensitivity. She has shown herself to be a fearless vocal artist, whether singing Mozart, Verdi, Donizetti, or Puccini. In demand for Opera, oratorio, and song recitals, she is kept busy year-round and across the globe. Cara’s debut CD, CARADIVA, has raised over € 250,000 for her favourite charity, Marymount Hospice in Cork.